Month #THREE in Arizona and still kickin’ (with occasional spouts of screamin’)! What have you done Marvel? At this point, it is almost an understatement to say that the juggernaut success of the Marvel Cinematic Universe (MCU) has had a profane impact on the cinematic landscape. The simple formula of interconnection between movies gives the audience a sort of obligation to ensure they are “caught up” with everything within that universe in order to have a better appreciation for the movies within that universe. Having said that, the movie industry is at a fever pitch of finding any way to have a shared universe within their flicks and unfortunately, most ultimately FAIL. Whether it’s rushed story development, insufficient time for character development or for some, just an obvious attempt at a cash grab, the shared universe is something that when done correctly, could be a quite a treat for the audience and yes, synergistically, it’ll make the studio a ton of dough to keep churning out flicks for the masses to enjoy. It did catch me by surprise when the horror realm began to dip its toe in the shared universe theory but I was even MORE surprised when one of them actually succeeded! As with the case of most horror franchises, I always find myself loving the second entry in the series. 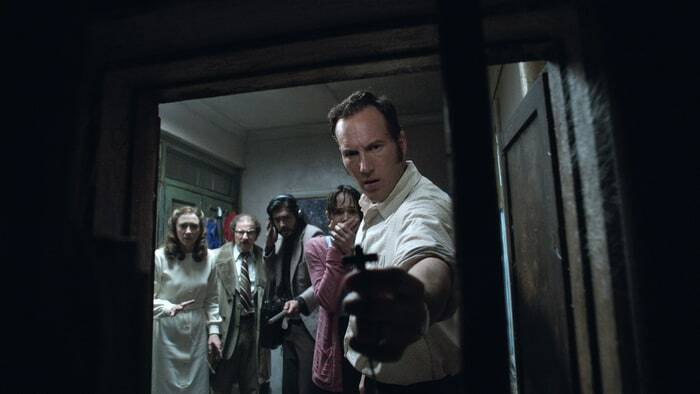 The Conjuring 2 has a nice blend of horror entertainment and surprisingly some heart. There is a clever approach to the second flick right off the bat because the Warrens were most famous for their investigation of the Amityville haunting in New York, which was the basis for MANY horror flicks. When the first Conjuring flick turned out to be a successful flick, I was almost certain that the sequel would focus on their most famous case. However, I was delighted to see that the sequel begins right after Amityville and focused on the repercussions that followed after facing off against a formidable demon foe. The Warrens begin to see visions of a demon nun (keep this one in mind) and Lorraine Warren sees a vision that this evil entity will cause the death of her husband. While the Warrens begin to question their future, one of their most famous cases was about to present itself. After listening to some disturbing evidence, the couple travels to England to help a single mother and her children from an evil presence that continuously commands the family to leave its home. 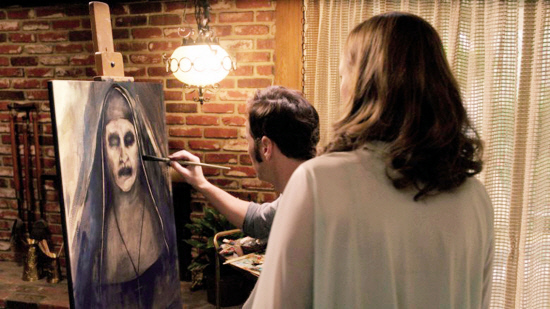 The Warrens must battle the evil being living in the house while simultaneously preventing Lorraine’s vision of her husband’s fate from coming true. Shall you sing me a song Mr. Warren? What I love about the Conjuring universe is that the ties between the films are consistent (for the most part) to the timeline, yet not necessary for you to enjoy the flicks. 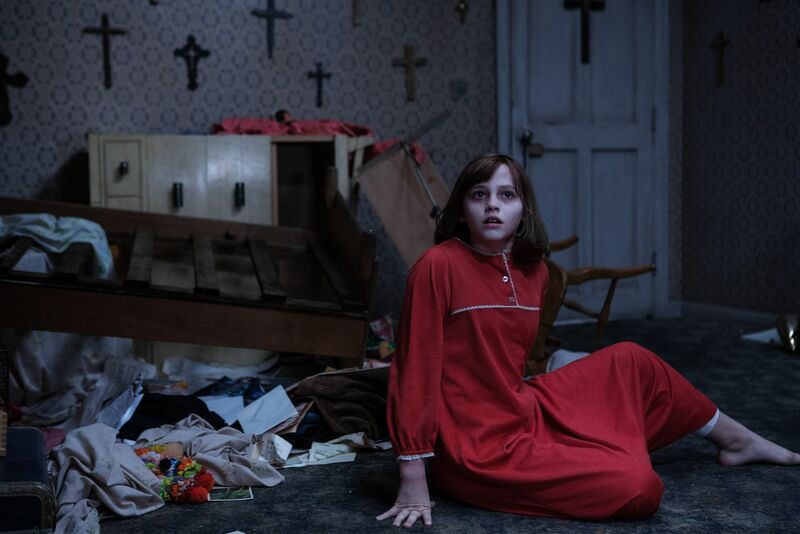 The universe relies more on spin-offs that tie back into the Conjuring flicks, which leaves endless possibilities for which horror figure will get its own movie. The spinoffs have been successful and (mostly) well received from the horror community so that in itself is already quite impressive. The suspiciously creepy doll, briefly shown in the first Conjuring flick, spawned the movie Annabelle and its subsequent sequel. The “holy” entity that threatened to kill Ed Warren in the Conjuring 2 just released its spinoff, The Nun and another character featured in that movie is currently in development called The Crooked Man. 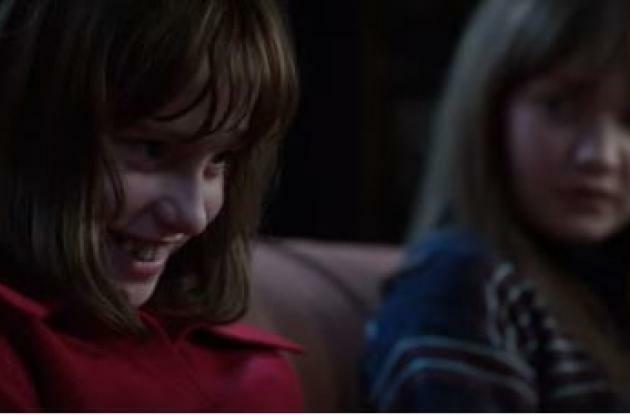 The genius move in this strategy is that every Conjuring flick is a potential vehicle for a slew of spinoffs and the ties between the spinoffs and the Conjuring movies are executed surprisingly well. Tell me what you think, would this make a good movie? Whenever the next Conjuring movie comes our way, make sure to keep your eyes peeled for the next entry in this entertaining shared cinematic universe.